This was an exciting week in FRC. We had a few big announcements made by FIRST Headquarters and a couple of key part suppliers as well. We'll also take a look at a few teams that have released design details for their robots including 971, 1114, & 254. Be sure to tune in to both events. 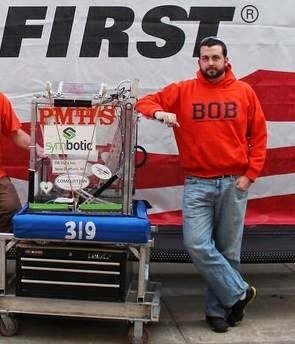 The Blue Alliance will have the webcast links. 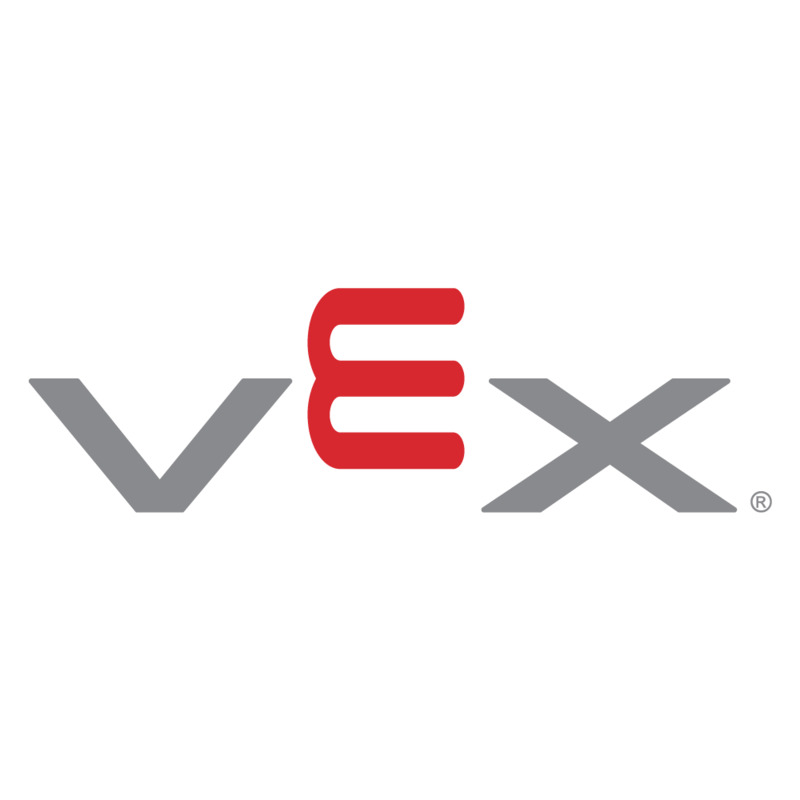 VEX Robotics and Cross the Road Electronics announced new speed controller designs this week. The Victor SP and Talon SRX are both smaller, lighter and improved with knowledge from the Jaguar, Victor, and Talon included in their designs. They are both passively cooled and have updated PWM frequencies out to the motor. They also both have integrated wire leads for both motor outputs and power inputs. The PWM cables and pre-installed on the Victor SP and the CAN wires are pre-installed on the Talon SRX. Though both share similar design features they offer up different options in terms of controlling your motors. The Victor SP allows for the standard PWM control that we have been used to with the Victor speed controllers. The Talon SRX allows for CAN control and integrated PID like the Jaguar controllers used to. The FRC Blog announced more information about their legality for 2015. The former 3 models of Speed Controllers will still be legal and still be sold this season but they are all no longer being manufactured so once they sell out they are gone forever. It's still not official that these new controllers will be legal for 2015 but for the most part everyone believes that they will be. Many of the best teams in FRC have been releasing CAD, code, and/or design notebooks for their past robots this summer. FRC#971 from Mountain View, CA is the latest team to release their past robot designs to the public. Spartan has been producing top tier robots for several years. 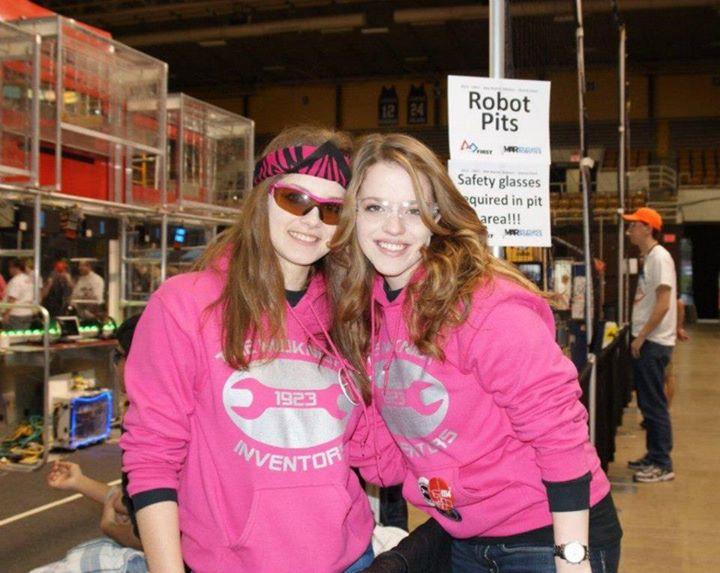 Their 2014 entry was one of the most advanced robots in recent FRC history. On Wednesday, they posted a new CD thread with links to CAD files and details for all their robots going back to 2007. Along with the CAD release they also released an awesome design notebook for their 2014 robot Mammoth. Every year Spartan posts one of the most complete photo albums of any team. Here is a link to their 2014 photo album. 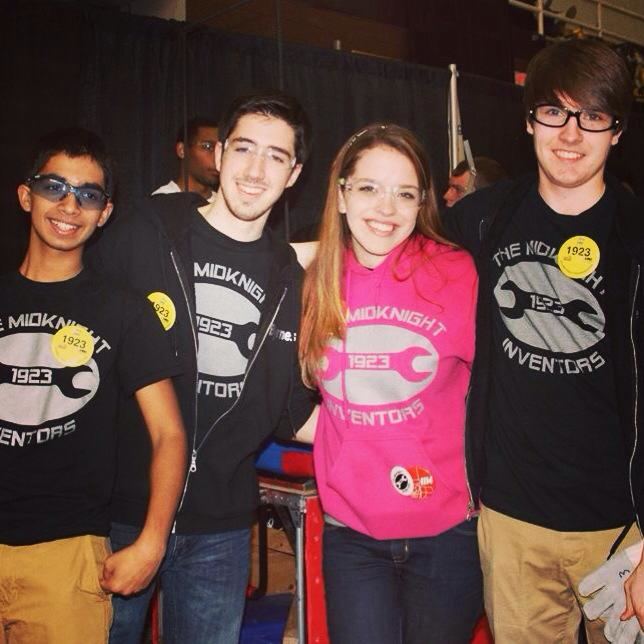 Spartan also has a very extensive set of resources on their website that are a must read for FRC teams trying to learn and grow both on and off the field. They have safety manual examples, programming guides, CAD trainings and more. In June, the Simbots joined the club and released all of their CAD and design information some of their past robots. They have CAD and design details for their 2010 - 2014 robots. Here's the CD thread for the announcement. In addition they added their engineering notebooks for Simbot Evolution (2014) and Simbot B.A. Baracus (2013). All of these are fantastic resources. While the Cheesy Poofs haven't posted CAD files for their robots, they do release their build blogs each year. The build logs high quality pictures of their robots and also an in-depth look at the design process they use to get to their designs. 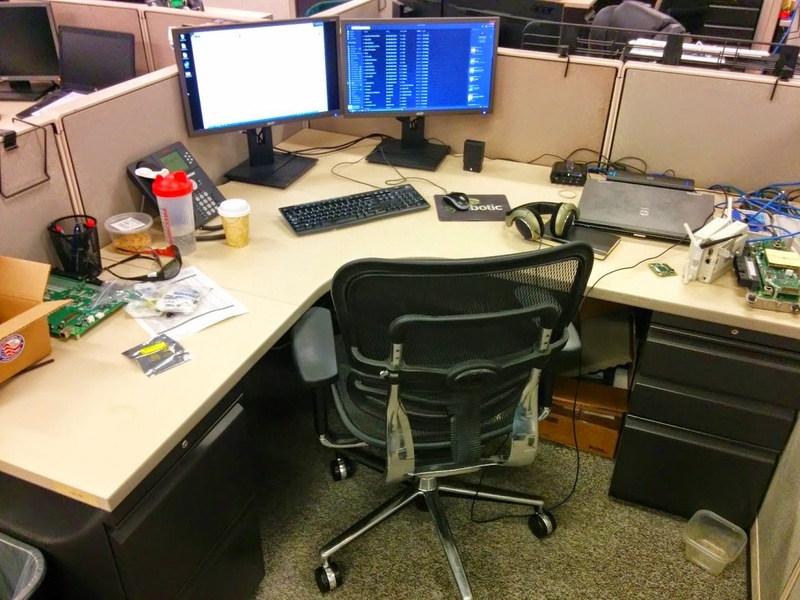 Here is their 2014 Build Blog and Technical Binder and here is the CD Thread as well. In addition the Cheesy Poofs released their 2014 software for teams to learn from. Each year the FRC#254 has some of the most advanced code in all of FRC and they provide a great example for teams looking to learn more advanced programming concepts. Here is there 2014 code release thread. Another great source for FRC robot designs is FRCDesigns.com many teams have posted their CAD models on this website. They already have 13 Aerial Assist robots including the likes of FRC#67 and FRC#118 two of the best teams in FRC. 2015 Championship Qualification Details Released! It's now official. 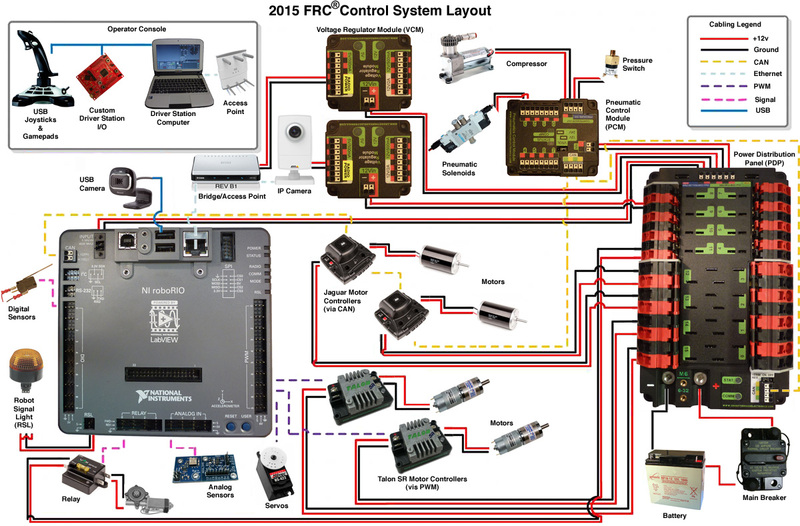 The FRC Wild Card system has been expanded. Now any team that wins an event that has was already qualified for the FRC Championship or if they also win one of the 3 awards that give a team a spot at Championship will generate a wild card spot for the finalist alliance member at that event. This means if a team wins the event and wins the Chairman's Award at that event, one of the finalist alliance members will be given a Wild Card spot at the World Championship event. Remember that Wild Card spots first go to the Alliance Captain, then to the 1st team selected, and then the 2nd round selection. This changes allows for Hall of Fame teams, Original and Sustaining teams, 2014 Championship Engineering Inspiration Award Winner and 2014 Champions that are already qualified for the 2015 Championship to generate Wild Card spots at their first event if they win them. FRC also announced a new wait list lottery system that will give better odds to teams that haven't been to championship in the longest amount of time. However the process is now random so we should see a nice diverse group of teams attending championship off the wait list. Teams that attended championship in 2014 are ineligible for the wait list. We're starting a new series today -- "This Week in FRC" -- which will feature the recent happenings inside the FRC community. We'll include new information when it's released from FIRST headquarters and the FRC Blog, we'll highlight the interested threads/photos/whitepapers on Chiefdelphi (CD from here on out), FRC twitter memes and happening, new YouTube videos, and perhaps even a /r/FRC post or two. Many of the 2015 Regionals have confirmed their dates and venues. The updated list of venues is on the FIRST website is here. Sometimes, the community knows about an event date before it's official, so this year people will be posting such news in this CD thread. Also, to those who don't know, Easter weekend coincides with Week 6 this year; this may play a part in some teams' regional decisions. For those of us in the Texas area, we know that Dallas is Week 1 & Alamo is Week 3. For the out of state but still close to us events, we know that Bayou is Week 4 and Oklahoma is Week 5. Official announcements for Lone Star, Hub City (Lubbock) and Arkansas should happen in the next few weeks. The Beta teams have started receiving their hardware and photos and discussion has started on this thread. Many of the Beta teams have agreed to post their results on this Facebook page, so be sure to check it out and learn more about the future control system of FRC. Here is a great speech from a Little League coach. There will be much better videos of this speech soon but this is the best we have right now. This is a great example of gracious professionalism in use outside of the world of FIRST.